"Vagabond"Lee Seung Gi "The best talent is doing the best"
Singer and actor Lee Seung Gi has put on the cover ‘two versions’ of the French magazine ‘L’Officiel Hommes YK edition’ autumn and winter 2018 issue. It is presented with sensuous pictorial works collaborated with stylist Jung Yoon gi. In this photograph, which was filmed four years after the army enlistment, Lee Seung Gi appealed for the masculine beauty and intelligent sexyness that took off the image of ‘National son’ and ‘National brother’. Lee Seung Gi produced a breathtaking profile and a masculine pose on the cover. With serious expression and strong eyes, he completed a emotional pictoria. Lee Seung Gi said in an interview, “The “Weight of the crown”, which had come under heavy pressure during its debut, is still buoyant.” And “My best talent is doing my best,”he said. “I thank God for giving me the concentration to take one step further and not to be exhausted,” he added. Meanhwile, Lee Seung Gi has actively participated in various art programs such as ‘All The Butlers’. Currently he preparing his next drama, “VAGABOND”. 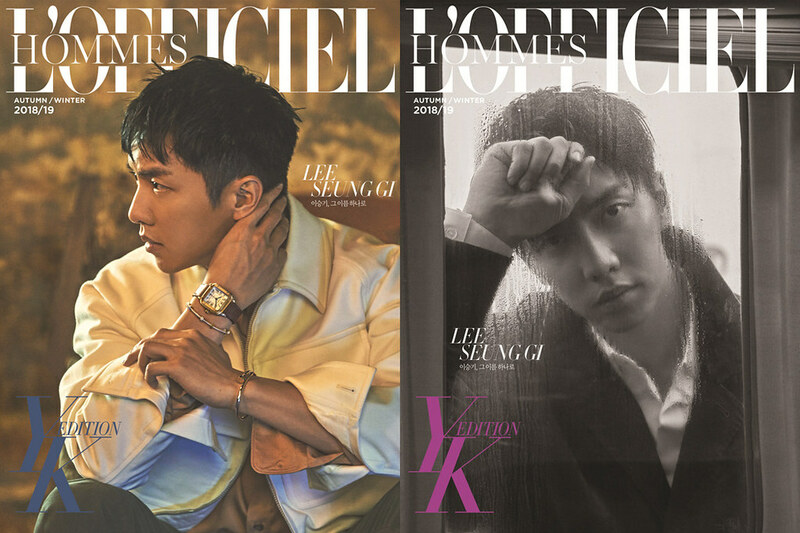 More interviews of Lee Seung Gi can be found in the Fall & Winter 2018 issue of ‘L’Officiel Hommes YK Edition’ which will be published on October 1st. SBS entertainment side “Deacon Department” Lee Seung Gi appearing?